It is no secret that people are becoming increasingly dissatisfied with traditional cable service. Over the past few years, people have been ditching their cable service in favor of better broadband internet services. The advent of services like Netflix and Hulu, alongside the more recent development of live streaming services in the last couple of years, have given people options for TV that don’t involve expensive cable or satellite subscriptions. fuboTV is a live streaming service with a heavy emphasis on sports, but now includes many news and entertainment options. It also offers a DVR feature so that you can record any game or program and watch it on demand. The service debuted in 2015 purely as a soccer live stream service for all the soccer fans in the U.S. who felt neglected by cable. It had 12 soccer channels from around the world, streamed at 1080p HD (meaning no blurs or pixelation) and it was compatible with Android, iOS, Roku and Amazon Fire. Now, though, it has expanded to become its own, all-encompassing live streaming service with a variety of sports, news, and entertainment channels. What Channels are on fuboTV? fuboTV now offers hundreds of channels spread out between 2 main packages, fubo and fubo Extra. They also offer a Latino package, fubo Latino and Portuguese Package, fubo Portuguese. Among the popular channels are the Fox staples (Fox News, FS1 and regional Fox sports channels), MSNBC, The Weather Channel, Syfy, A&E, Nat Geo Wild, USA, One World Sports, Football Report TV (as in soccer), just to name very few. One big issue to note. Considering how sports oriented that fuboTV is with all of their packages, surprisingly, ESPN and the ESPN / Disney suite of channels are NOT available as an option. Not even as an add-on package. Just keep that in mind as you are evaluating this as your primary TV source – the “four-letter word” networks are not available. Additionally, if you are interested in other channels that are not included in one of the main packages, there are now several add-on packages for additional fees. For instance, you can purchase a “fubo Cycling” add-on or a “Kids Plus” add-on. We’ll cover the other packages below. 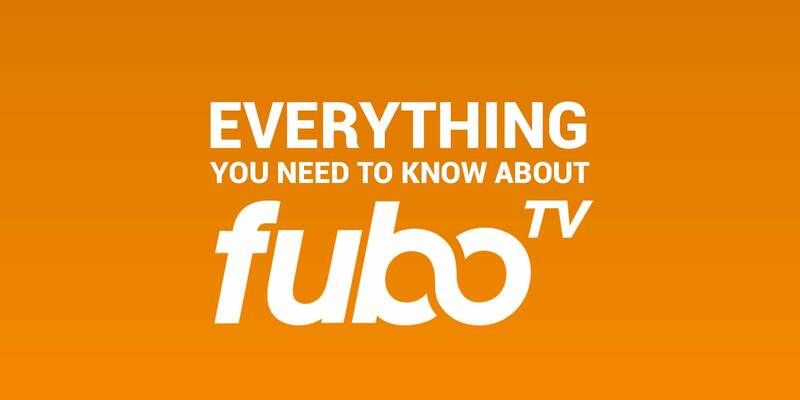 In 2015, when fuboTV launched, they only had one package and a limited number of channels. Now, fubo TV has a wide selection of packages, channels and add-ons that make it competitive with the main players in the space like Sling TV or DirecTV Now. Starting at $39.99 for the first month and the $45.99 after, the fubo channel package is the base and most popular pick. There are over 80 channels available in the fubo pack including sports channels like FS1, FS2, Regional fox channels, NFL Network, NBA TV, beIN sports 1-10 and popular college football channels like PAC12 Network, BIG10 Network. Outside of sports, the fubo pack also offers many popular channels such as History, Bravo, AMC, A&E, Nat Geo and more. This base package also offers several popular latino language channels like Univision, UniMas, and Galavision. For an extra $5 per month, you can sign-up for the fubo Extra pack. It has all the channels as the fubo base package but with an additional 20 channels of programming. fuboTV is offering the Extra pack for $44.99 the first month and then $49.99 per month after that. The channels included in the Extra pack are not “super popular” – but there are some fan favorites in the list including the Cooking Channel, DIY network, Game Show Network, Boomerang and more including a couple of world news channels like CNN international and BBC World News. Looking for some of the core Latino programming available? The fubo Latino pack may be a great choice. For only $17.99 per month, it offers Latino programming staples like Univision, Galavision, Fox Deportes, beIN Sports en Espanol, UniMas and more. There are 15+ channels in all. The final core package offered by fubo is geared towards Portuguese programming and offers channels like GolTV which broadcasts Portugal Primeira Liga, Uruguayan Primera División, Venezuelan Primera División, and Ascenso MX matches. There are only 5 channels total in this package and for $19.99 per month, the price seems a little steep unless you are looking for GolTV, RTP Internacional, or Benfica TV. Fubo is now offering several add-on packages that can be added to any of the core televion packages listed above. The add-on packs seem to be geared towards specific sports with a few exceptions. There are a wide-range of options available and depending on what you are looking for, may be a good supplement to the core packages. For $11.99/mo, it offers 5 channels including the fubo Cycling channel, Fox Soccer Plus, GolTV in English and Spanish as well as TyC Sports. Similar to the cycling package above, the international sports pack offers the same channel line-up but without the fubo Cycling channel. The International Sports pack is only $5.99/mo for the remaining 4 channels. The Sports Plus pack offers 21 channels for only $8.99/mo – a pretty good value. 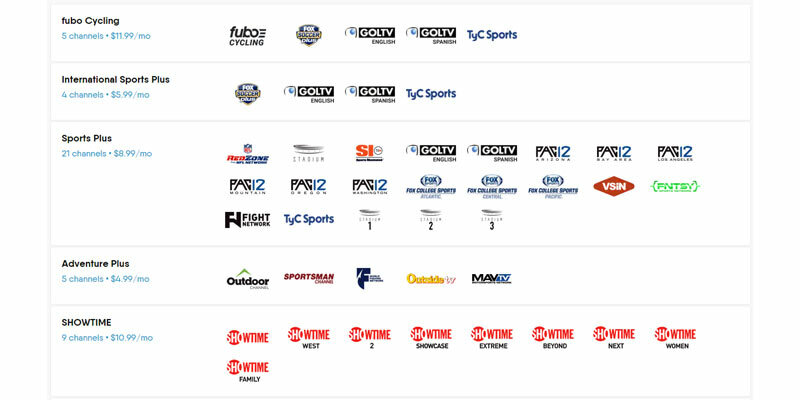 The primary channels here are a few included already in some of the core “fubo” pack and some new ones like NFL RedZone, Sports Illustrated TV, and Stadium 1, 2, and 3. Also included are regional PAC12 and Fox College Sports networks. 5 channels of outdoor and adventure programming for $4.99 per month. Channels in this package include the Outdoor Channel, Sportsman Channel, and Outside TV. There are a couple of other small add-on packages – you can view them on fuboTV's site here. How can I watch fuboTV Channels? 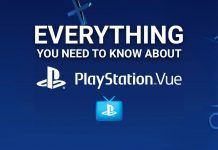 An important thing to consider is that you cannot use any gaming console to stream fuboTV. If you’re ok with that, you have a service that you can essentially watch from any device, anywhere at any time. Additionally, you can currently stream with up to two separate devices at the same time. How is the Picture Quality? Whether you are trying to live stream a game or watch something on demand, the loading wait time is minimal. The quality of the feed is excellent, the 1080p HD is free of gritty pixelation or blurriness. Picture quality goes hand-in-hand with the quality of your internet connection though, so make sure you have fast internet. Currently, the base package called just, “fubo”, is $39.99 for the first month and $44.99/mo after that. The fubo Extra pack is $44.99 the first month and then $49.99/mo after that. Latino and Portuguese packages are $17.99 and $19.99 per month respectively. The add-ons packages previously mentioned are offered for an additional cost per month. 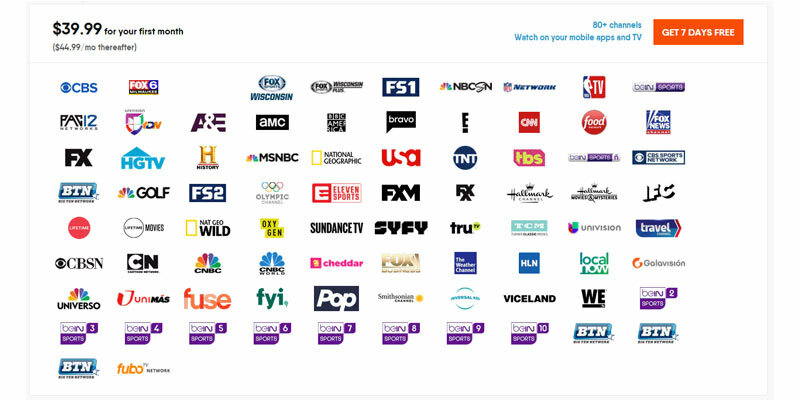 The prices of the add-on channels/packages range anywhere from $5.99 to $14.99/mo. Ultimately, there are not too many limitations to the service. The only two real limitations are that the service is only available in the United States and, as mentioned above, it is not compatible with game consoles. Is fuboTV Right for You? Considering its origins, it should come as no surprise to hear it reiterated that the majority of the programming is not only sports focused but soccer focused specifically. As mentioned above, the service really was created both by and for soccer fans. Thus, for the United States soccer fans who have been constantly neglected long-term by cable companies, fuboTV is a dream come true. It allows them to escape the irrelevant, binding and limiting relationship with cable, gives them everything they could possibly want to satisfy their soccer devotion, while still providing another important programming such as news and entertainment. Basically, for the die-hard soccer fan, fuboTV is actually a pretty complete replacement to cable. For the general sports fanatic, this service is a good option as well. 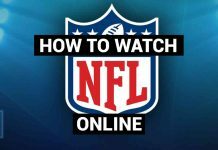 While it is certainly soccer heavy, the available channels provide live streaming of NFL, MLB, NBA, and NHL games, among other sports, both national and international. It may be rather obvious at this point, but fuboTV does have a fairly specific audience in mind. So much is the emphasis on soccer that if you absolutely hate soccer, even if you like other sports, this service is probably not for you. If you are a huge hockey fan, but you really only care about just that one sport, then fuboTV wouldn’t really make sense for you, either. If you do not like sports at all, then this service is most certainly not for you. While it does have a decent variety of news and entertainment channels, it is not enough to make it worth it for someone who is not a sports enthusiast. So, all the soccer fanatics and sports fans definitely have something to get excited about. fuboTV Premier is the first all-inclusive service that provided an emphasis on soccer. And with the ultimately well-rounded nature of the programming, any sports enthusiast should be excited to try it out. 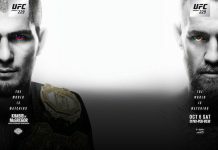 For a limited time, fuboTV is offering a free fuboTV.com to try them out. Now is a good time to test it out to see if it is a good fit for you.